Our industrial heat resistance paints offer a range of protection using zinc, aluminium, ceramic and epoxy coatings. They can withstand a variety of temperatures, ranging as high as 1000°C, and offer fast-curing properties. A variety of colours are available in certain products on request. 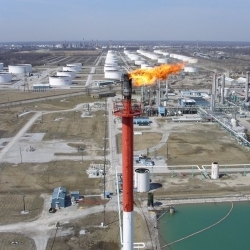 This makes them ideal for use on refineries and offshore structures, as well as smaller surface areas such as boiler fronts and incinerators. 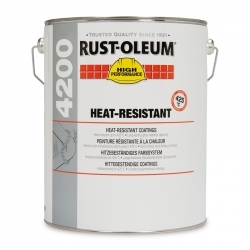 Rust-Oleum 4200 Heat Resistant Primer (orange in colour) provides heat resistance up to 425°C dry heat on metal substrates, including application on boiler fronts, incinerators, stacks, breechings, kilns and similar surfaces subject to high temperatures and rust producing conditions. Also known as 4268 Heat Resistant Primer. Rust-Oleum 4200 is a heat resistant aluminium finish topcoat providing heat resistance up to 425°C which should be applied over surfaces primed with Rust-Oleum 4200 Heat Resistant Primer. Jotun Solvalitt Midtherm Alu is an aluminium pigmented version of the standard Solvalitt Midtherm producing a metallic silver finish. 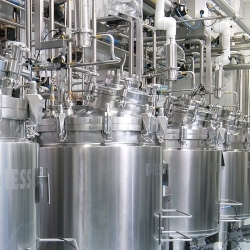 A one component physically drying silcione acrylic coating that is heat resistant up to 260°C. It can be used as a primer, mid coat or finish coat in atmospheric environments. 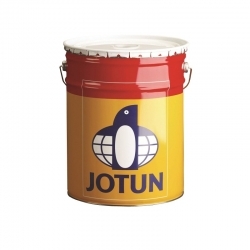 Jotun Solvalitt Zinc is a one component physically drying zinc rich silicone coating that is heat resistant up to 400°C. 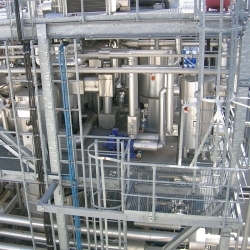 It can be used as a primer in atmospheric environments and suitable for properly prepared carbon steel substrates. 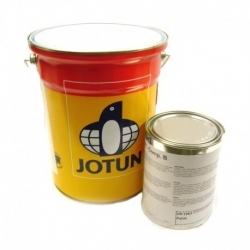 Jotun Aluminium Paint H.R. is a one component styrene modified oxidatively drying alkyd coating that is heat resistant up to 250°C. It can be used as an exterior aluminium finish usually within an alkyd system. Can be used as primer, mid coat or finish coat in atmospheric environments. Suitable for properly prepared carbon steel and aluminium substrates. Jotun Epoxy HR is a two component polyamine cured novolac epoxy coating that is heat resistant up to 200°C and can be applied on hot substrates up to 150°C. It can be used as primer, mid coat or finish coat in atmospheric environments. Suitable for properly prepared carbon steel, galvanised steel, stainless steel and aluminium substrates. 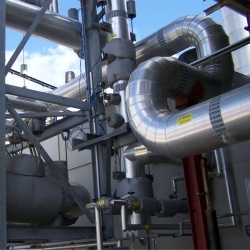 International Intertherm 228HS is a highly crosslinked, two component, high build epoxy phenolic coating suitable for exposure in a wide range of highly corrosive environments, including insulated and uninsulated carbon and stainless steel for use on the exterior of pipework, process vessels etc., operating at temperatures up to 230°C (446°F).